Planet Fitness bills itself as being a “Judgement Free Zone” in its ad-spots and in a stunning move the mega-chain has put its money where its mouth is. 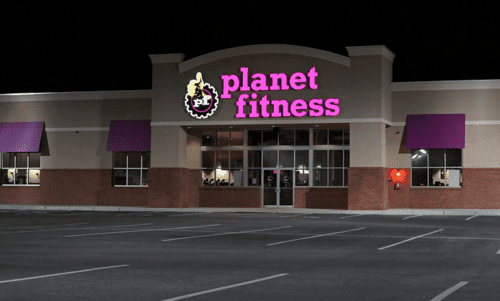 Yvette Cormier of Midland, Michigan was deeply troubled in late February when entering the women’s locker room of her local Planet Fitness. According to Cormier, she couldn’t use the locker room because it was being used by a transwoman. "I was blocked, because a man was standing there," Cormier told MLive, a Michigan news outlet. "It freaked me out because, why is a man in here?" When Cormier brought the transwoman’s presence to Planet Fitness personnel, they informed her that the she identified as a woman and thus was more than welcome to use the womens’ locker room. Cormier, determined to raise alarm, took it upon herself to inform other female gym members that a transwoman had been given equal access to the gym’s female facilities. Cormier further escalated matters by contacting Planet Fitness’s corporate offices with her complaint, but it was here that she was firmly shut down. Given the gym’s no judgement policy, a representative explained to her, they would never ask the transwoman to stop using the locker rooms. When asked if she would stop harassing the transwoman, Cormier asserted that she would continue to make noise until something was done about the matter. Then Planet Fitness canceled her membership. “The manner in which this member expressed her concerns about the policy exhibited behavior that management at the Midland club deemed inappropriate and disruptive to other members, which is a violation of the membership agreement and as a result her membership was cancelled."